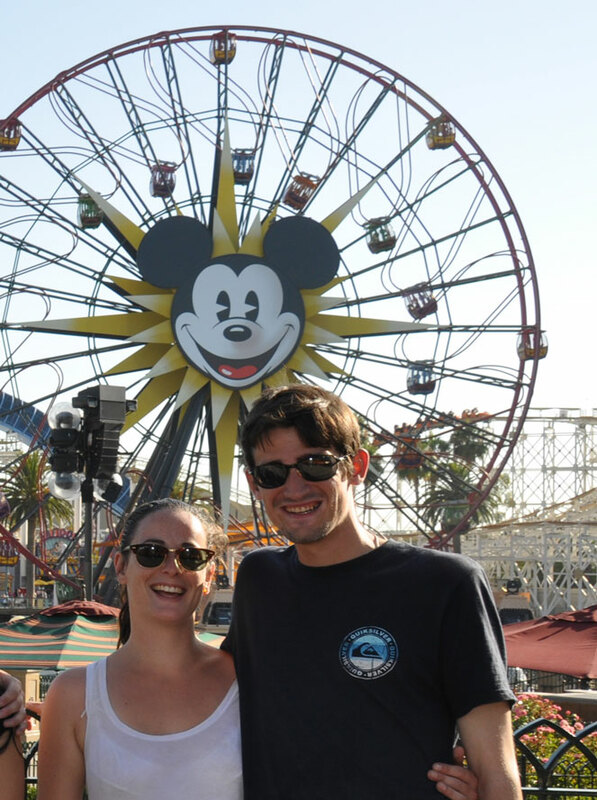 Charlotte and Nick at Disneyland in July 2011 during her summer vacation in California. This was about a week before she returned to Paris and he was laid off. Not a good follow-on! That’s what it’s always been like living with Nick. The can was half full, and I couldn’t figure out if the liquid was a soft drink or shower water. So I threw it out. There were two bathrobes in his car last week, one in the front seat and one in the rear. It was not clear to my limited world view why he needed even one in the car! Nick moved back in with me when he was laid off with no last month’s pay or notice at the end of July 2011. Then, not a week after being laid off, Gary Britton, his maternal grandfather, died unexpectedly. With one thing and another, he was having a tough time and hardly earning anything. Time to seek shelter with dad! 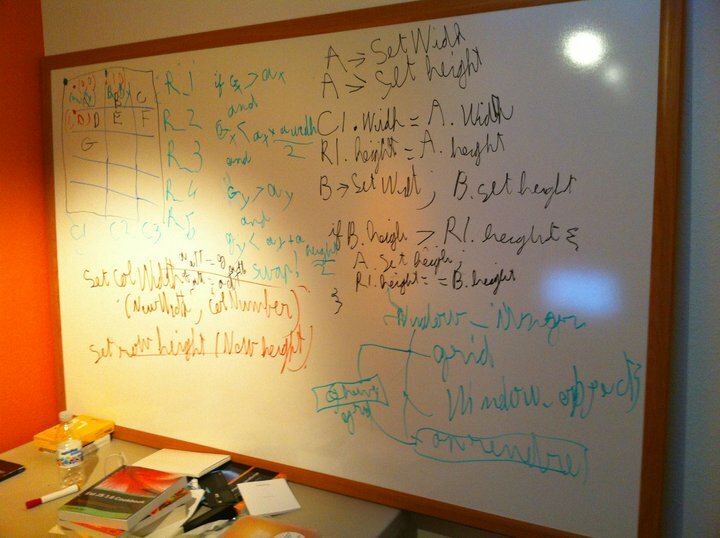 Found this one on Nick’s FaceBook page: one of the tools of his trade, a whiteboard. In short, I welcomed Nick back. Charlie and Alex share one bedroom when they are here (in fact the former currently prefers the couch, perhaps because it faces the X-box), which left one for him. It all fit together. Plus he made a valiant effort to keep the condo tidy, at least outside his room, and living with him again was all rather pleasant. He looked dutifully but with mixed results for software coding assignments, and spent hour after hour talking with his girlfriend Charlotte in Paris, using Skype and mutual built-in cameras and giving a whole new meaning to long-distance relationships. He had lost his passport, and so needed a new one before leaving to visit Charlotte for Christmas. Here’s the photo in it. It was when he left for Paris to visit Charlotte in December that things first got interesting. Some mail for him arrived at the family home, where Marie-Hélène still lives. In his absence, I picked it up, and the letter started a classic twenty-something saga. Nick gives me a window on the underside of life, a side of life that does not disturb the tranquility of a mature professional, but probably should. 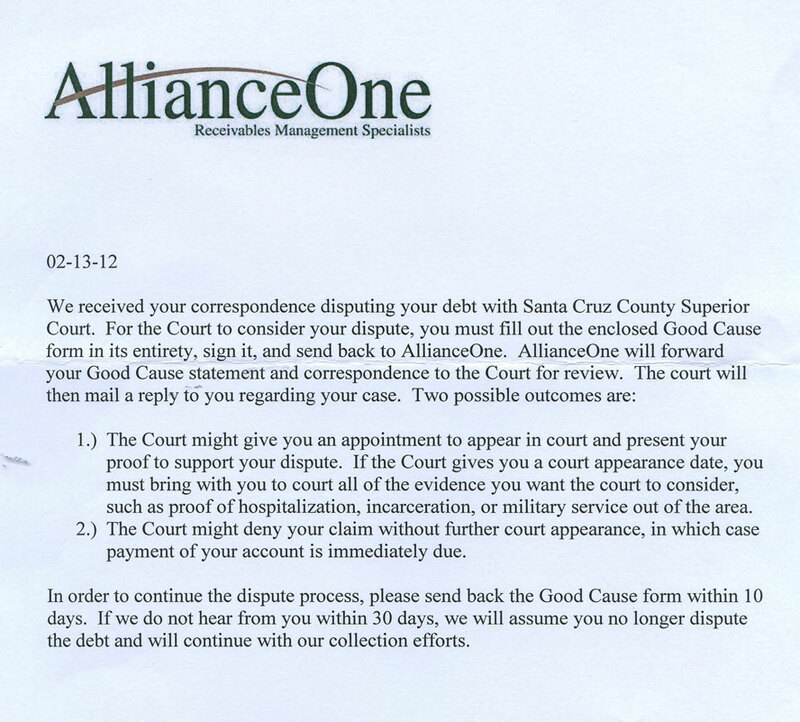 The letter was from Santa Cruz Superior Court, and related that an old traffic ticket had been turned over to a collections agency. In his absence, I decided to follow up. It turned out that the ticket dated from 2003. How did he do that?! I was in awe. I can’t avoid paying a ticket for a few months, let alone for eight years! But this one had finally come home to roost. To the tune of $531!! They gave me the complete runaround at the Courthouse, which riled me. Principally because Nick had not lived in the family home since 2005, and had moved several times in the interim, the Court had not had contact with him since early 2008. Yet when the State enacted an amnesty in 2011, which should have reduced the outstanding amount of his ticket from $221 to $110.50, the County unilaterally added a civil assessment of $300 and turned the total over to Alliant Receivables, a collections agency. Unilaterally means here without any real notice to Nick or an opportunity to be heard to contest the $300 that the County added. The collections agency gives us its terms: if we want to contest any part of the $530 in court, we have to complete its form and send it back to them. Not to the Court. They will forward the completed form to the Court. 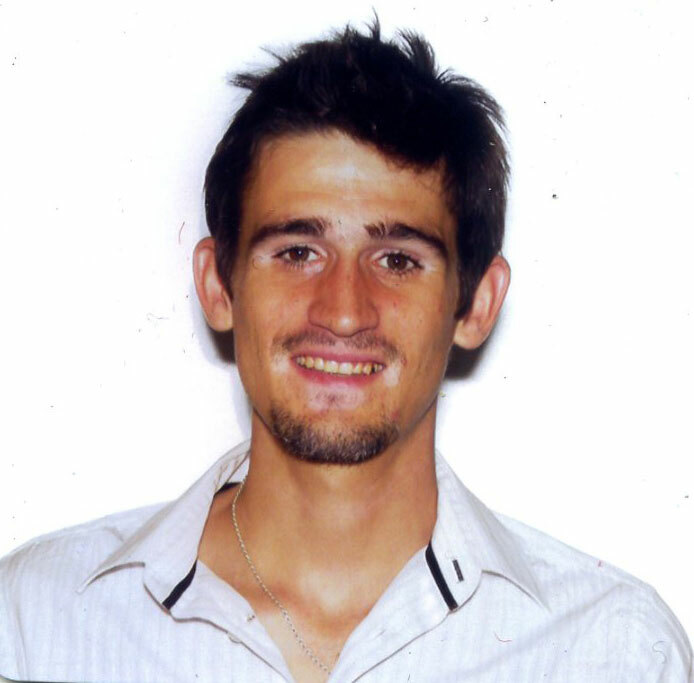 Alliant Receivables wrote that they would only forward his case back to the Court for review if I told them all the private information about Nick that any collection agency could want to know. The same letter included a warning that any information I supplied would be used to further Alliant’s collections activity! 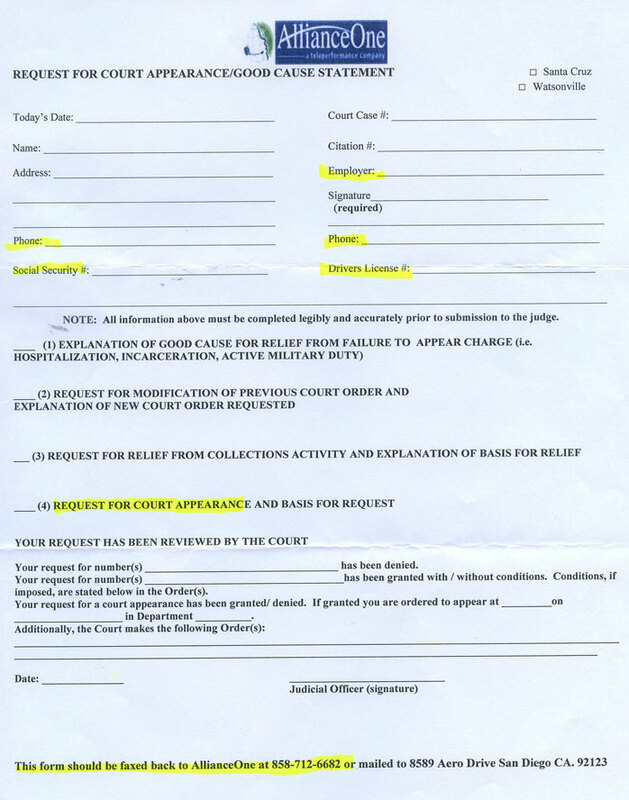 And here’s the form that they wanted us to complete in order to allow us the right to petition the Court. Check out all the information requested! Rather than complete it, I sent a letter to Alliance, copy to the Court. The Court responded on the merits. Alliance did not, but sent me another form to be completed!! As a lawyer, I was horrified by this cynical display. Getting people like Nick, young or rootless, to pay a ticket must be difficult, granted, and cuts in tax revenues obviously increase government needs for funds. But should those twin pincers allow the institutions which are supposed to demonstrate a higher morality to sink so low? No way. The Court and Alliant Receivables deliberately undercut State law, taking unilateral action to stop the State amnesty applying to a ticket which it did apply to. I still think that their doing so violated State law. Why? In order to increase what was paid to them. Are there small-time crooks here? Certainly not Nick. I was tempted to put real effort into pursuing this institutional wrongdoing, but checked in first with a law school friend, Rory Little. He teaches criminal procedure at UC Hastings College of the Law, and warned me off diplomatically by recounting the story of the son of a Federal Judge in San Francisco who had his own run in (the son) with a local traffic court some years ago. There too, the traffic court looked pretty sleazy, opined Rory, but the Judge ended up going all the way to the US Supreme Court trying to fix his son’s problem, and all for nothing. Cooler heads prevailed here, and I settled for reducing the increased fine by half before moving on. Things started looking up again for Nick when he came back after his protracted stay with Charlotte in Paris. That had invigorated him, and his new college courses interested him (he started back at school a couple of days after returning home) and his looking for consulting assignments as a coder became more fruitful. Brothers. 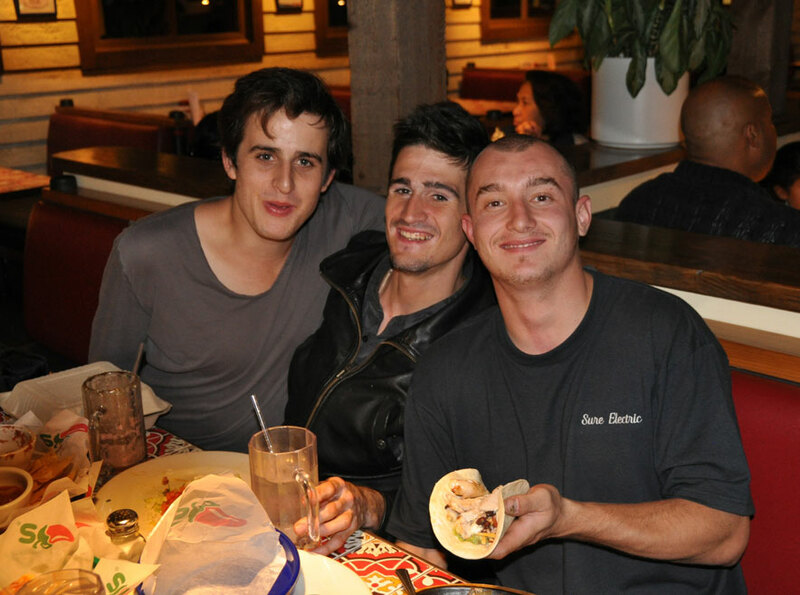 Tom (during his visit in September 2011), Nick and Alban at Chili’s. On top of his school and his consulting, he came back home with a plan: to build a company to develop and market a kind of software code that he’d already had experience in. Nick is convinced that he can do it himself, as in set up a company and run it himself. My ears began to perk up. I advise start-ups, and have been doing so since 1988, when Antoine Béret and Michel Delaage brought Immunotech, a biotech start-up from Marseille, into the law firm where I worked in Paris. Immunotech went through diverse fund-raising rounds, interesting strategic deals across Europe, and finally a successful M&A exit. I followed them and helped them all the way. Santa Cruz has more than its fair share of techie events. 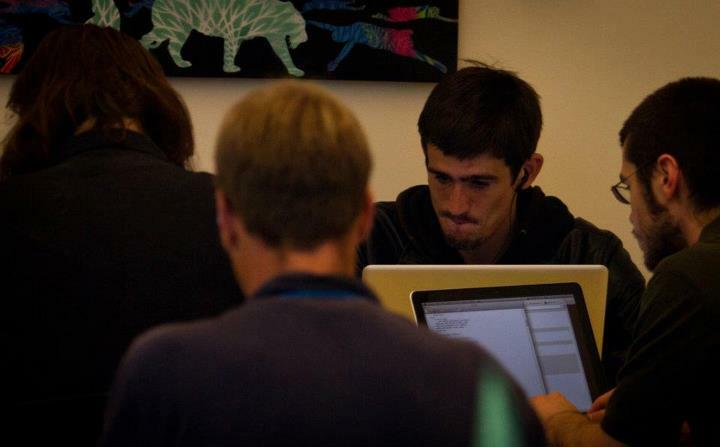 Here is Nick participating in Tech Raising this spring (2012). People with ideas for applications or other software that others may need meet up with people who can code them, others who can design them and still others who can market them. The teams then spend a frantic weekend trying to put something coherent together. He had a great time at this one! As Nick began turning being laid off into an opportunity of his own, he began asking more and more for advice. Not only is he right in one of my legal sweet spots, start-ups, but also from a business perspective he’s dealing with the vagaries of life as the owner of a small business. That’s a life I’ve lived twice, once in Paris and again here. He’s offering software coding services, and I offer legal services, and the challenges are often the same. Getting paid for what you do is its own skill, one which I hope I’m helping to impart to him! Domestic tranquility on a Saturday morning in the condo! Alex, hiding under a towel so that his likeness will not be spread around, was playing a computer game. 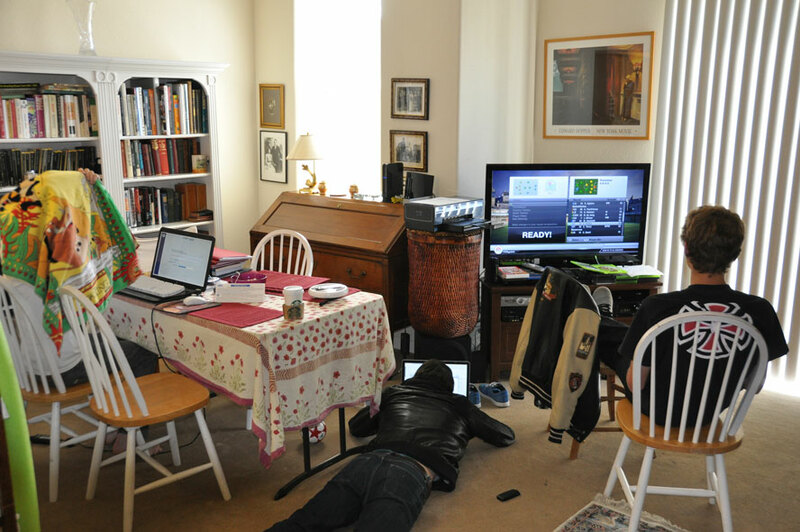 Charlie was playing X-box live, and Nick was coding sprawled out on the floor. I’m working with one of my sons. Fathers across the generations have wanted their sons to work in their businesses. That never occurred to me. Prior generations of Stocks did work together for the Great Western Railway in England and Wales. My great grandfather was a goods agent for the railway (as was one of his brothers), and both his sons, my grandfather Charlie and great-uncle Bert, worked for the same railway. Nick and I aren’t quite there, but we are working together for the first time, and that you just can’t buy. Now I’m trying to figure out how to do the same thing with my other children. Tom’s getting to the point where he’ll be ready to market his songs soon . . .
Nick and I still argue about the dirty dishes at home, of course, or the disappearing ice cream and cookies (please note: all ice cream and cookies in the condo are mine! ), but then he’ll call about this or that issue, or how to handle this person or that offer, and we’ll talk. In short, living with Nick this time is a pleasure. Who cares if Kern’s cans continue to appear in unlikely places!